Week Street and Gabriel's Hill are two of the town’s most historic streets and link Maidstone East Station and Gala Bingo (the old Granada Cinema) to the town centre. We're now investing £3.1 million into regenerating these areas. Our aim is to make Maidstone an attractive place to live, work and visit. This project will have a positive impact on the town as a whole and is part of our wider plans for regeneration. 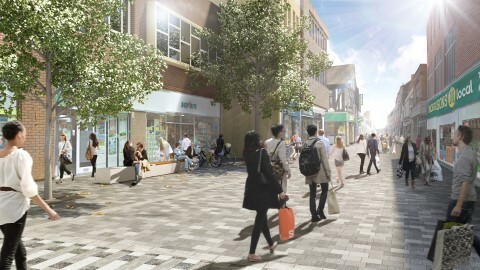 “This significant investment in the high street will greatly enhance the County Town and forms an integral part of the Council’s capital programme of work. Maidstone is fast emerging as a top destination for business, retail and leisure as well as offering an all-encompassing great visitors’ experience. These improvements which celebrate our cultural heritage whilst reinvigorating the look and feel of our town will only serve to enhance the attractiveness of our streets - encouraging further investment in our borough, more visitors and supporting a vibrant and growing local economy. 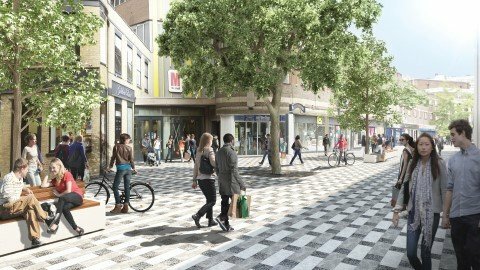 The works will include improvements to drainage, and resurfacing with block paving to produce a level surface, similar to that carried out in King Street and the High Street in 2013. There will also be better wayfinding, more landscaping and art works. was found in the area in the 19th century. A time trail will also run all the way from Maidstone East Station to Gala Bingo, marking key points in Maidstone’s history. We've appointed Henderson and Taylor (Public Works) Ltd as our contractor on this project. The programme will take about 45 weeks. Works will be suspended from 30 November 2018 until early January 2019 to minimise disruption over Christmas. We aim to complete the project by spring 2019. The work is being carried out in sections, with both Week Street and Gabriel's Hill being worked on at the same time. The first stage is to improve the drainage and resolve any issues with shallow utilities, then resurface with block paving to produce a level surface. There'll also be better wayfinding, more landscaping and art work. Can I still access business/residential entrances in Week Street and Gabriel's Hill? Yes. While road closures are necessary to ensure site safety, there'll be pedestrian access at all times, in particular to businesses and households. The work has been phased to try not to close too large a section at any one time. Due to restricted vehicle access, a diversion route has been set up for deliveries and the contractor will assist businesses with deliveries. Please contact Dominic Murray, Public Liaison Officer on 07949 826982 for details. Who do I contact if I feel my business has been adversely affected by the works? Although we are working hard to keep disruption to a minimum, unfortunately it is inevitable there will be some interference. You can contact the Valuation Office Agency (VOA) who have a process in place to determine if you can get a reduction on your Business Rates bill, due to any loss during roadworks. 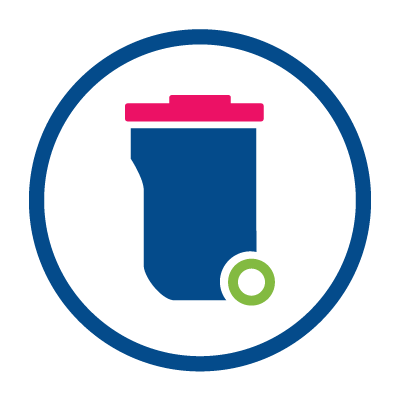 You will need to register on the VOA website https://www.gov.uk/correct-your-business-rates and follow the ‘Check, Challenge, Appeal’ process.